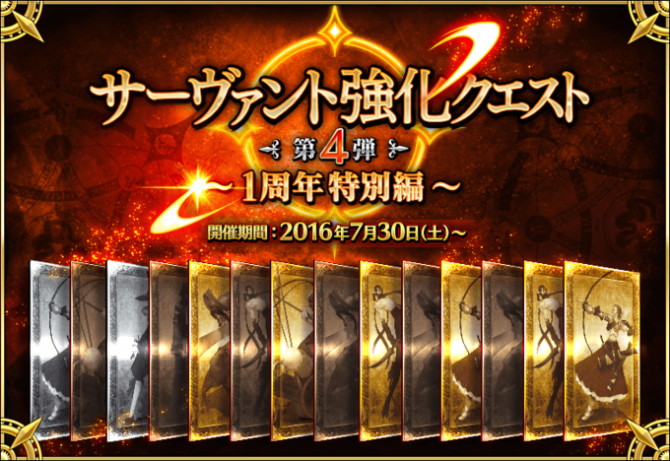 In conjunction with FGO Summer Festival 2016 ~1st Anniversary~, there will be 14 servants instead of 7. 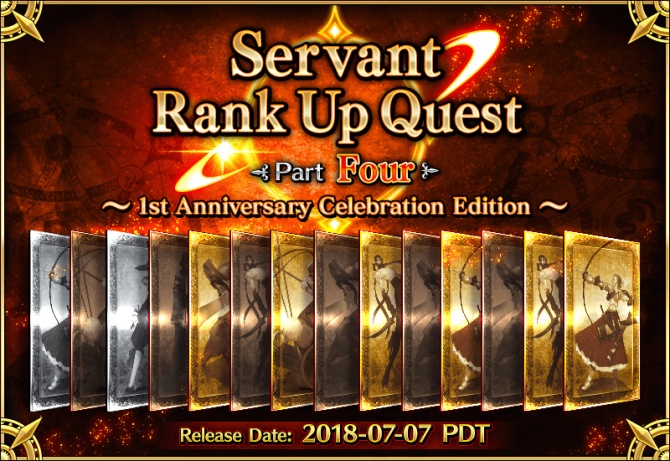 2 rank up quests will appear daily over 7 days (July 30-August 5). The quest can only be entered in Chaldea Gate if you have that Servant at max ascension. The identity of the Servant for a new quest will only be revealed when the quest appears. Quests do not expire; as soon as you get the Servant to max ascension, you will be able to access the quest.